Finally, Formula One is asking its fans what they want by asking them directly in the places where they go. 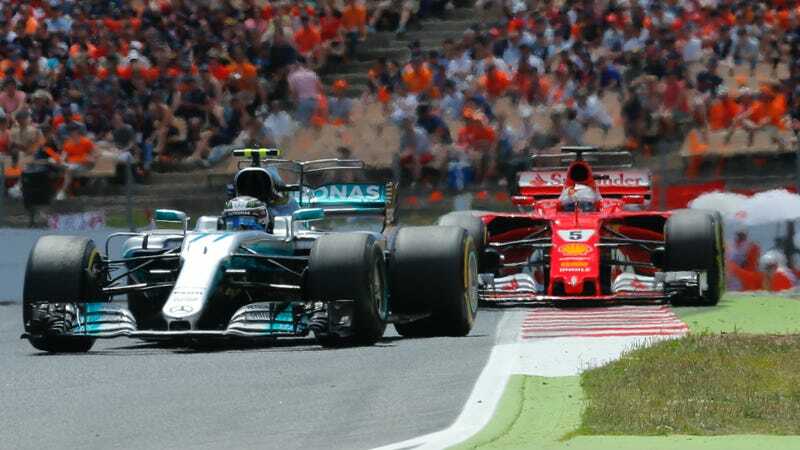 This week, a representative from Formula One Management hopped on Reddit to ask what they want in terms of digital content. The answer Redditors gave was pretty clear: stream the races, duh. r/Formula1 mods verified the FOM staff’s F1_Research account as genuine. The account opened up a thread asking for suggestions as to what they, the fans, want to see from the series they follow. Formula 1 would like to know what you, the fans, want to see from F1 digital content on its website, social, Apps or anywhere else. F1 Redditors’ opinions are essential to us and your feedback will be key in helping us shape the future coverage of the sport.What stories are you interested in, formats are best, where do you want to see them, how do you want to follow F1 in the future?We have a survey here if you’d like to take part but really we’d like to hear from you on this thread.What digital content do you want from F1? What can we create that will make your experience of F1 better? No matter how big or small we’d love to hear from you. First off, this is great and something they should do in various forums across the Internet, not just Reddit. Meet fans where we hang out and talk smack, and hear us. Naturally, F1's Reddit thread for suggestions got an answer that should be all too obvious to anyone living in 2017: we need races streamed on the Internet. A full-on, no holds barred streaming platform. F1 wants to be a technology leader, an innovator. Well, go ahead and be a trailblazer for the world of sports-streaming! Give everyone access to all the cameras. TV, on-board and CCTV. Let me choose what I watch, even show two or four at the same time. Let us freely and quickly switch around, or take a look back at something, then switch back to the world stream. Let us use timing/data overlays as we want. If I want to watch the “battle for 6th” overlay, let me do that. Let me choose to show the time differential between Vettel and Hamilton, and how it evolved over the past few laps. Add more than is currently available on TV. Give us access to all the data.Of course, also have the world stream on there for people who just wanna watch without any hassle. Let us watch all of that live, and as VODs. If possible, add past races to the library. Add tiers for pricing, from free (live only, world stream only, no choice in cameras etc, heavily ad-supported, even ad breaks during the race), cheap (live and VOD, world stream + maybe onboards, some ads, but only as overlays during the race), all the way up to expensive (whatever I want, no ads). Yes, this is difficult for the entire world, and with the existing contracts. But I’m sure it is solveable. hurgaburga7's comment continued from there to offer ideas on how to make such a service customizable for each user, taking a page from esports’ streams. For once, all these streaming suggestions don’t seem to be falling on deaf ears. F1_Research responded to one of the many users clamoring for some kind of tweakable streaming service that they’re looking at Dota 2's streaming service as an example for future streaming coverage, for one. The game’s client allows users to pick their display and audio stream, and also control camera views. Imagine subscribing to a service dedicated solely to Motorsports. F1, WEC, F2, F3, etc etc in the one subscription. It wouldn’t be cheap but that just sounds exciting. Others suggested making races available through existing streaming sites, like Netflix or Amazon Prime, which are also excellent ideas. Another sensible tweak for the Internet age included a “spoiler free” mode for the F1 website for those of us who wait to watch races because they’re happening live while certain parts of the world sleep. F1_Research even said they’d look into a suggestion to improve live timing information, a request for more technical explainers, and another request to set up Reddit AMAs with interesting F1 personalities. I just plead that you go easy on DMCA takedowns (Reddit, YouTube, etc). They cultivate interest and engagement, even if they are not officially-sourced. Thanks to the content by redditors, I was able to feel as if I’m part of a community, and that encouraged me to attend a race in person. To say places like Reddit played a big part in my interest in F1 is a massive understatement. It’s the same story for many fans today, including myself. Online chatter is a huge part of what sucked me into regularly following motorsports, and short but interesting video clips from races that get passed around are a vital component of that. Either way, I think the answer is clear: Formula One Management, please take our money in return for streaming the races online, and modernize their approach towards internet video to give us the short clips and info we crave. 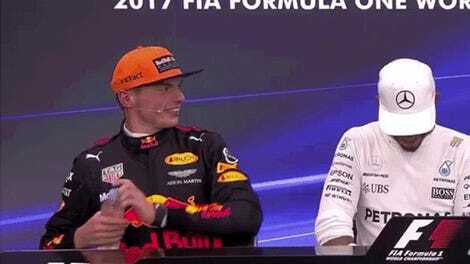 Venturing into the e-wilderness of r/Formula1 is a promising first step towards meeting F1 fans where we want to consume F1 info, but many of us already prefer to watch our races on our laptops as well. Even if they just offered a streaming season pass like MotoGP and the World Endurance Championship do, it would be a monumental step forward that would make fans happier.